teThis tutorial covers integrating Deadline Funnel with ActiveCampaign and the new version of EverWebinar using the API integration. Set up your Deadline Funnel evergreen campaign based on the number of days between when someone attends your webinar and the deadline for your promotion after the webinar. For example, for someone who registers on Monday for a Tuesday webinar, Deadline Funnel will calculate the numbers of days between Tuesday and the deadline for the campaign. We suggest 2 webinar-related tags, one for those who attended the webinar and one for those who missed the webinar. 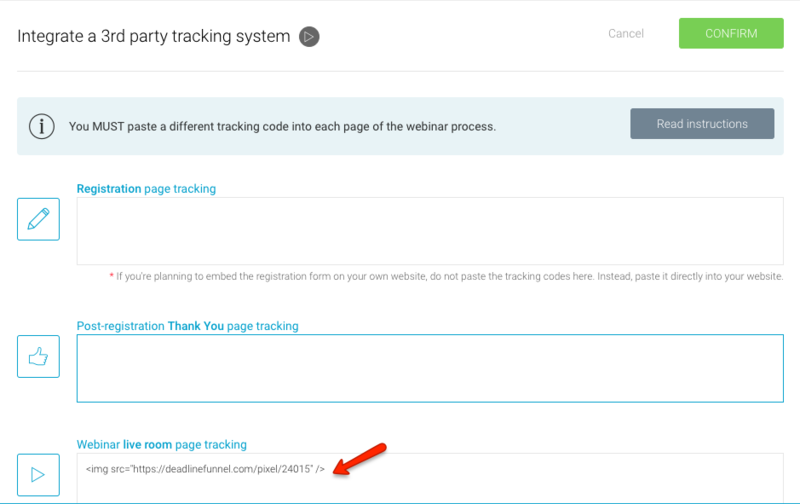 In the example that follows, we have created 2 tags in ActiveCampaign named, webinarname-attended-webinar and webinarname-missed-webinar. 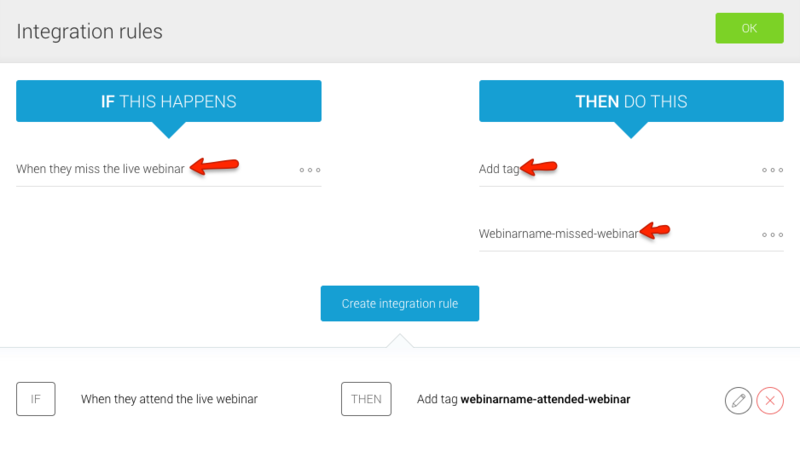 Note: Please replace 'webinarname' with the actual name of your webinar when you are creating your tags. When you visit My Account >> Integrations, you can select ActiveCampaign and follow the video/instructions for integrating the accounts. 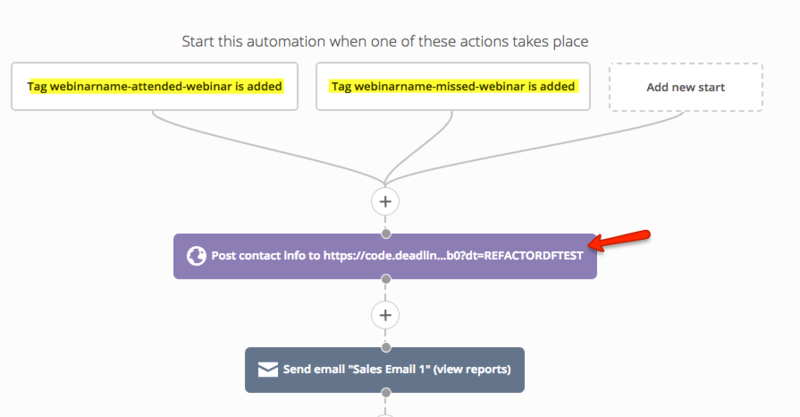 When you use either tag to trigger the automation (as shown in this example), you're able to simplify your automation and run everyone through the same automation whether or not they actually attend the webinar. Another way to use this integration would be to set up two different automations in ActiveCampaign and have one automation triggered when someone attends, and then the other automation triggered if someone does not attend. This gives you precise control of what messages your subscribers will see based on their specific actions. When your webinar tag is applied, the Deadline Funnel webhook will trigger and begin the subscriber's deadline. 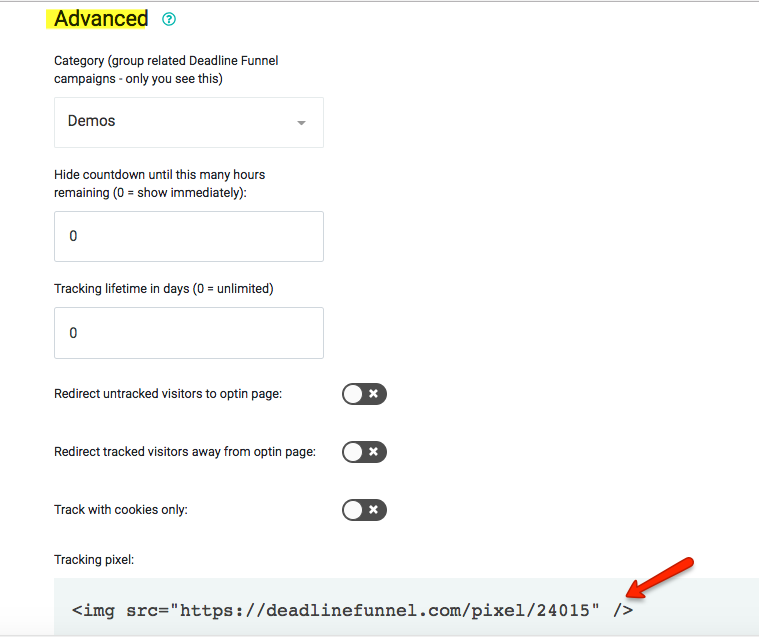 This will coordinate the timing of your ActiveCampaign emails and the Deadline Funnel deadline. Your leads will be tracked by email, cookies, and ip address. You will be unable to use the email countdown timer or 'deadlinetext' in emails that are sent from EverWebinar as they do not allow the placeholder required to use the subscriber email. You can and should use email links in your follow-up emails to keep your countdown properly synced. We encourage you to use ActiveCampaign for follow-up emails so that you have the option to include the Deadline Funnel animated countdown and the specific time and date of your subscriber's deadline, in the body of the email.